Key quality features of the power connectors contain the stamped and thereby easily processable and highly reliable Tcom press® zone. 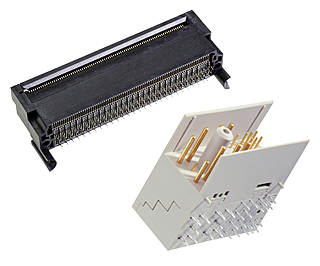 In addition, the dual-beam spring contacts manufactured by ept lead to a reliable, long-term connection between the male and female terminal. Finally, it is possible to offer cost-optimized connectors using alternative interface specifications while simultaneously complying with the same requirements on the PICMG® specifications, particularly in terms of mechanical stability (mating cycles).